Bristol Waste Company (BWC) has awarded municipal vehicle hire specialists Collett Transport Services (CTS) with a new contract to supply a fleet of brand new waste and recycling vehicles. The 2-year contract (with the option to extend by one year) starts on 1 October and comprises a fleet of 10 brand new vehicles: 7 x 26t 6x2 Dennis Eagle Rear Steer Narrow Chassis with Olympus OL19 Narrow Body & Terberg OmniDel Standard Lift; and 3 x 18t 4x2 Dennis Eagle Narrow Chassis with Olympus OL10 Narrow Body & Terberg OmniDel Standard. The first six vehicles will be delivered in time for the start date with the remaining 4 vehicles arriving before Christmas. 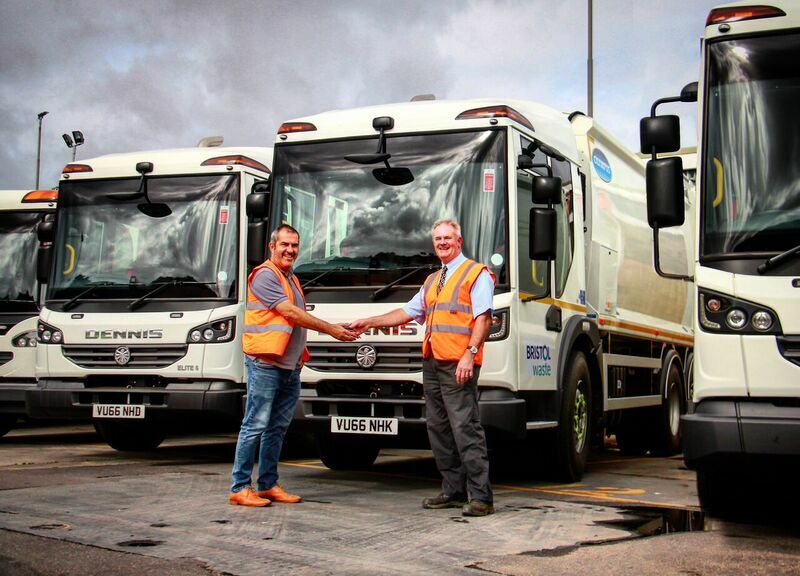 Bristol Waste Company was recently awarded a ten-year agreement by Bristol City Council’s Cabinet to provide waste collection, street cleansing and winter maintenance, bringing all of Bristol’s waste services together with BWC responsible for the entire waste process including collection and disposal. BWC has a fleet of over 180 vehicles and collects 140,000 tonnes of waste and recycling each year, 53,000 tonnes of which is sent for composting or recycling. The company also cleans 800 miles of streets and footpaths in the City.